The evening will feature remarks by Michigan Governor Rick Snyder. Other highlights of the celebration will include award presentations, along with a unique VIP Tour, Sponsors Reception and Guest Networking Reception where local students present exhibits from their participation in SAE International’s award-winning STEM education programs - A World In Motion® (AWIM), F1 in Schools™ and the Collegiate Design Series™. During the celebration, Mark Fields will be honored with the 2016 SAE Foundation Industry Leadership Award. 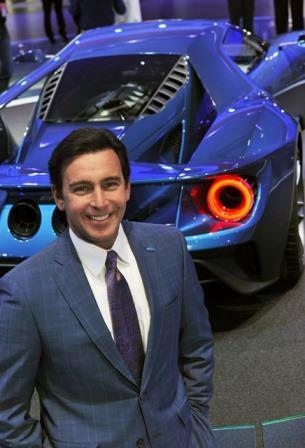 Mr. Fields is the President and Chief Executive Officer of Ford Motor Company. In addition to the Industry Leadership Award, the SAE Foundation will also present its annual Young Industry Leadership Award; the Ableson Award for Visionary Leadership; and the Gordon Millar award, sponsored by AVL. Proceeds from this annual fundraiser benefit the SAE Foundation, the charitable arm of SAE International. The SAE Foundation is addressing one of the most pressing issues facing industry today - the decline of students enrolling in science and technology programs – by providing programs that bring math and science to life and sow the seeds of endless possibilities for today's students from Pre-K to University. The SAE Foundation encourages and increases student participation and achievement in science, technology, engineering and math through educational programs, including A World In Motion® and the Collegiate Design Series™. SAE International is a global association of more than 128,000 engineers and related technical experts in the aerospace, automotive and commercial-vehicle industries. SAE International's core competencies are life-long learning and voluntary consensus standards development.